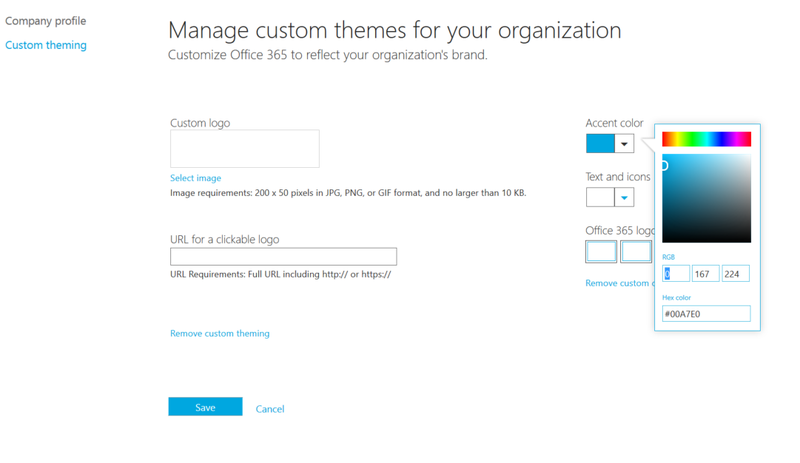 It took me a while to know that the top nav bar in Office 365 is called Suite Bar. The next thing I needed to know is how to change the color because the customer I am working for these days wants their branded color to be applied across the site collections. There are couple of ways to get the job done but lets stick to the most simplest one. If you notice my suite bar color is not the default one and I have already changed it. To get the job done you need to be Administrator to perform the following actions. 2. Once you are on your portal site click the name of your company on the top right corner of the page. 3. You will land on Company profile page. Click on Custom theming and change Accent color to change Suite bar color. (Note: It will take some time to get your changes applied across sites implies all the sites are using default theme.